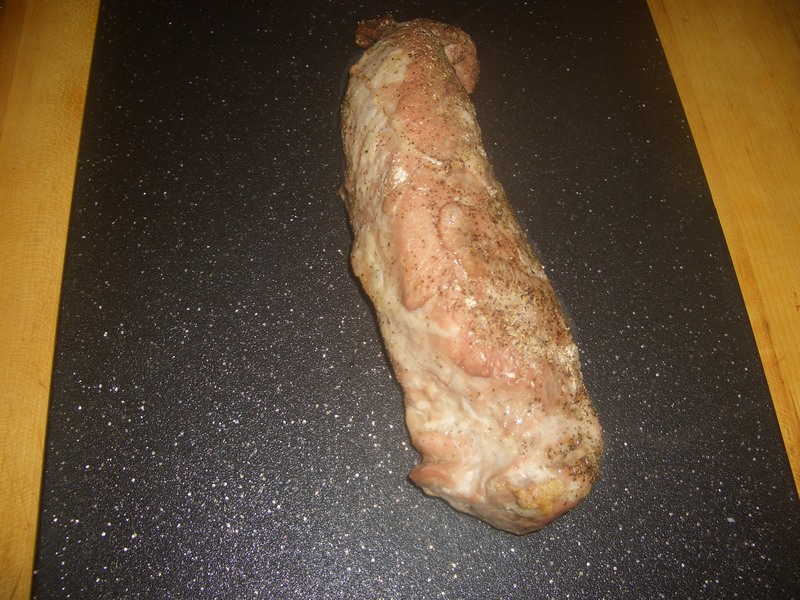 I don’t cook pork often but I’m very fond of pork tenderloin. 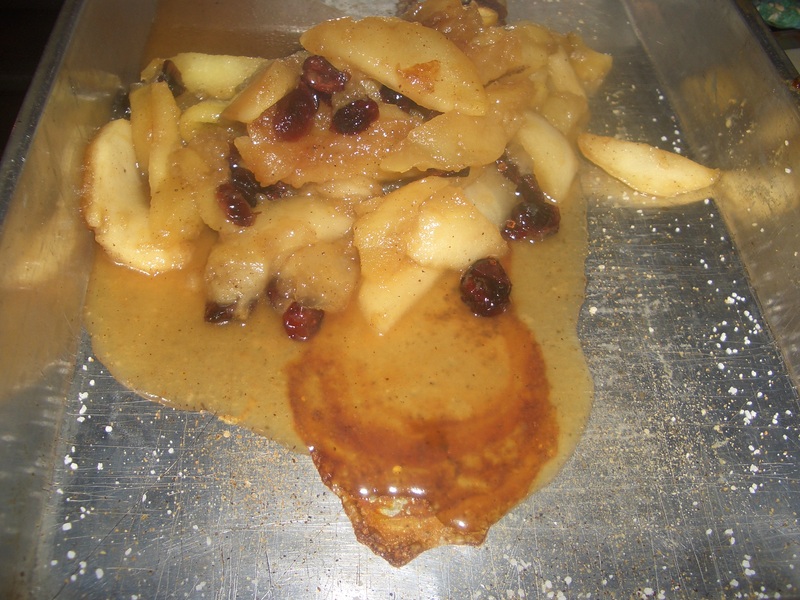 It’s quite tasty, not fatty, and doesn’t take too long to cook…but is it paleo? There are differing opinions on that subject. Clearly I am of the “it’s okay” school. The thumbs down for pork is about the relatively high amount of polyunsaturated fatty acids compared to that of other meats. On the other hand, compared to vegetable oils, pork is a real lightweight. So my take on it is – okay to eat pork sometimes. Aim for lower fat cuts. 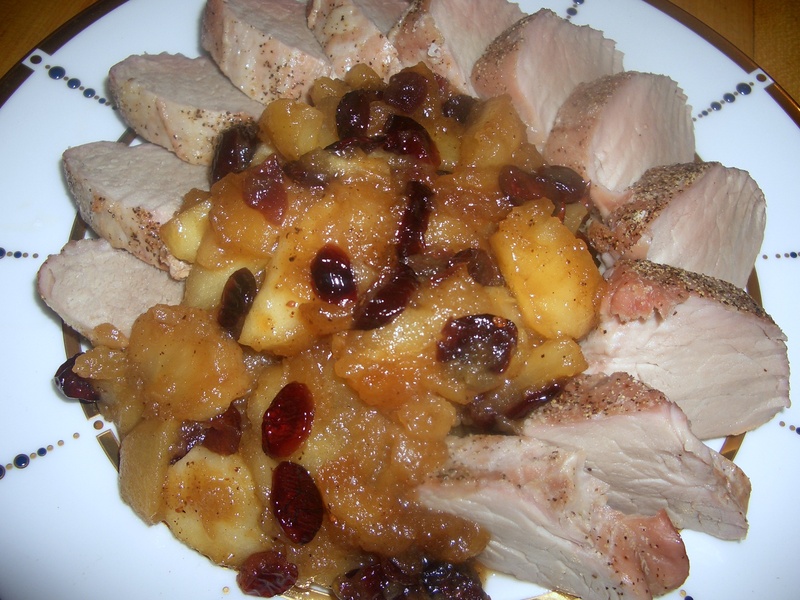 Try to get pork from local farmers instead of mass producers…and when you do eat it…Enjoy! In the old days pork was cooked until totally totally overcooked (160F). Now the theory is 145F followed by a 3-minute rest is fine. This leaves the roast nice and moist and maybe just a little pink – don’t let that freak you out. Preheat oven to 350°F. Place tenderloin in 9 x 13- baking pan (don’t line it with foil). 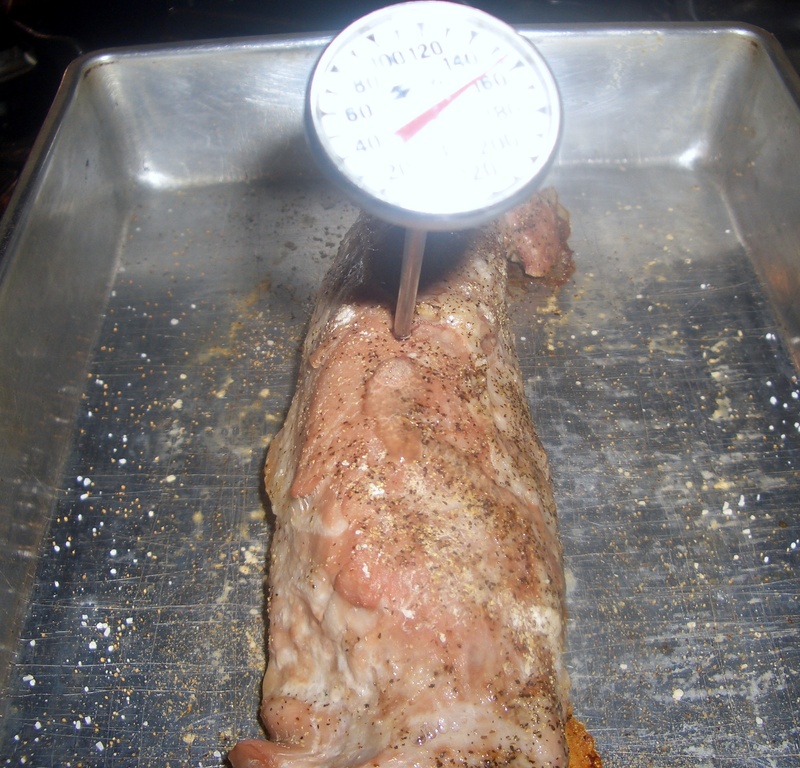 Bake 40 minutes or until at least 145°F (mine was closer to 155 and the meat was still a little pink) on a meat or insta-read thermometer. While the roast is baking, heat the oil in a large skillet. 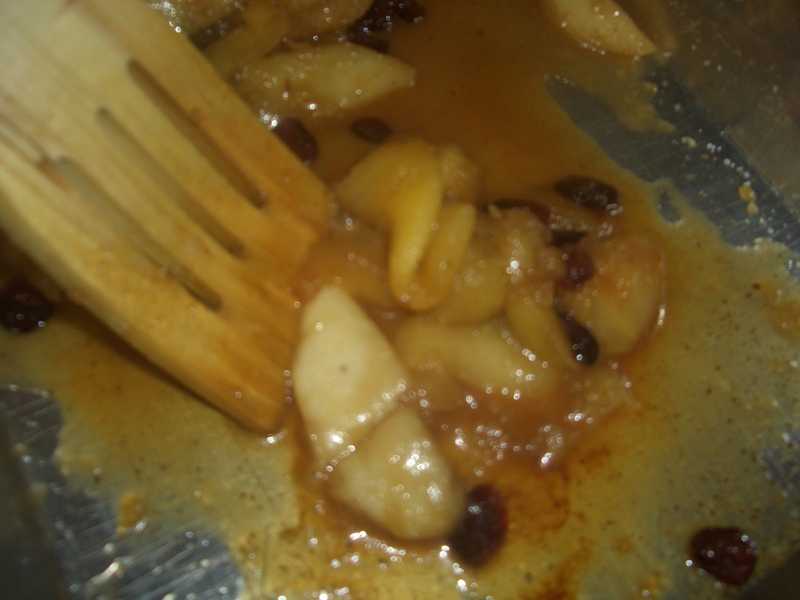 Add the apples and cook, stirring, until softened and browned in places. 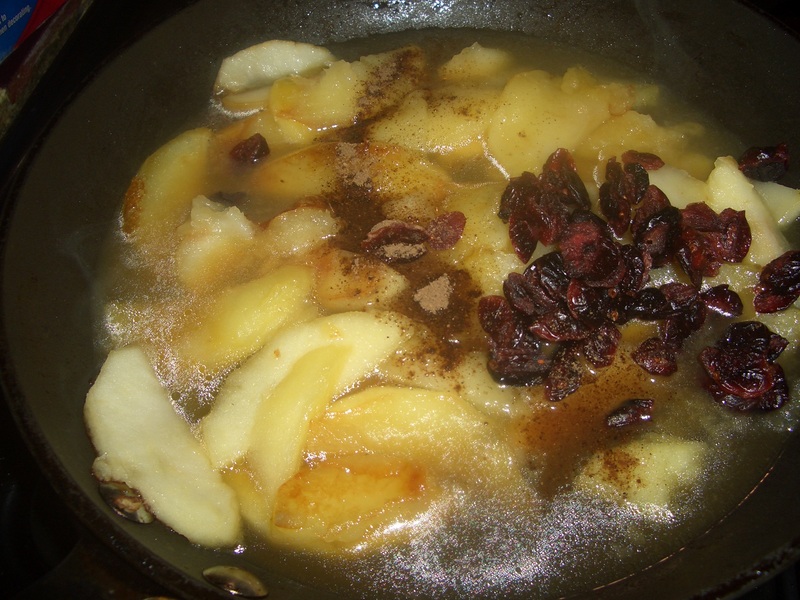 Stir in the cider or juice, maple syrup, lemon juice, cranberries and allspice. 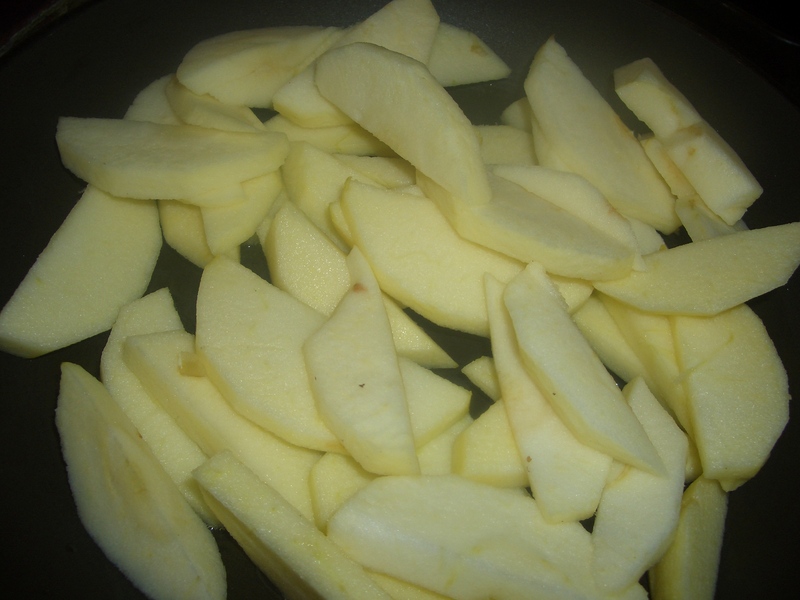 Bring to a boil; remove from heat. When the roast is finished, remove to a cutting board. Let rest 3 minutes. 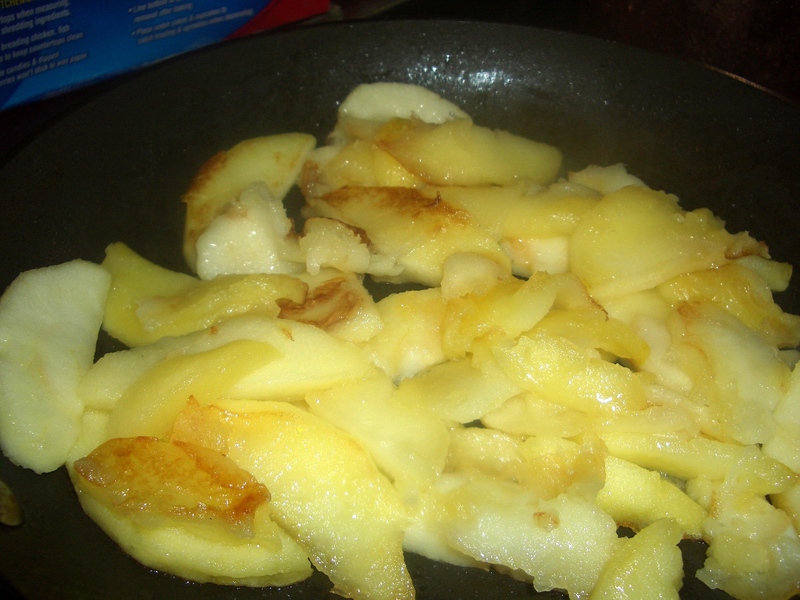 Add the apple mixture to the roasting pan and stir to absorb the pan juices. 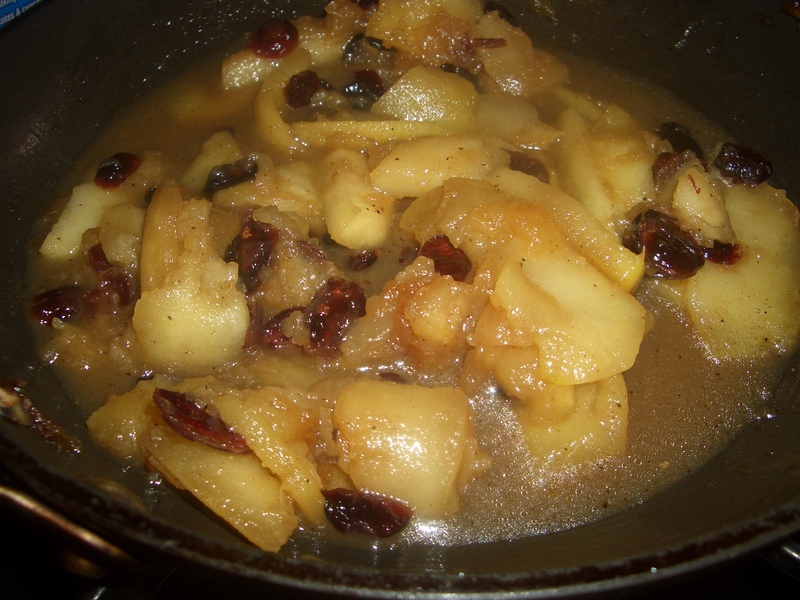 Return to skillet and cook, uncovered, on high until mixture becomes thick and most of the liquid has evaporated. 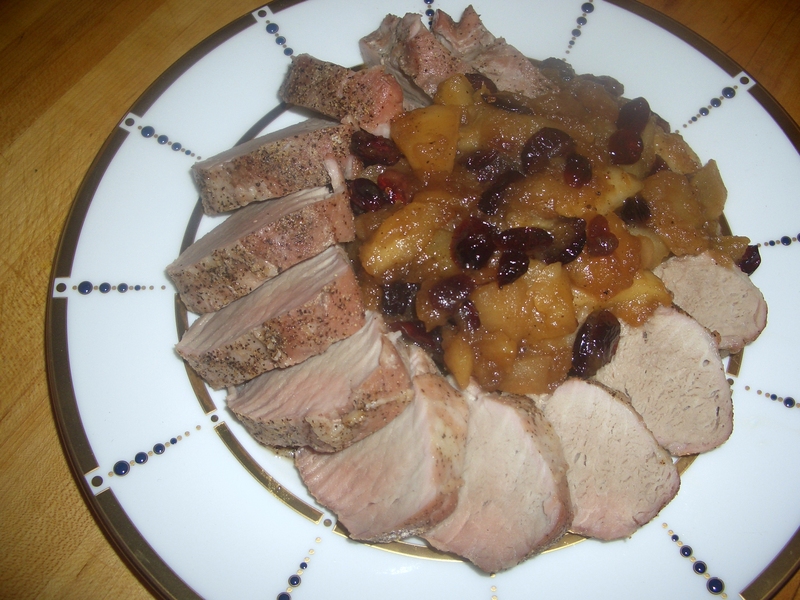 Slice pork and arrange on platter, top with apple mixture.